Many Digital Marketers feel like clicks are the lifeblood of their business. It makes sense right? Clicks lead to sales. Clicks send traffic. Clicks are where the money is at. So how do you get people to click on the links in your emails? 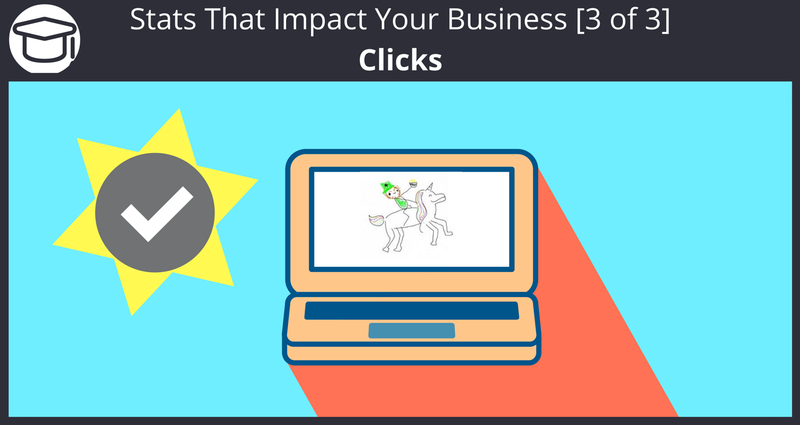 For those new to digital marketing, getting clicks is like finding a Leprechaun riding a Unicorn in the Kentucky Derby. It seems like a good bet but is unlikely or nearly impossible to achieve. Getting clicks isn’t about selling the product, it’s about selling the click. I’ll say it again, it’s about selling the click and not the product. Many email marketers make the mistake of trying to sell the product instead of the click. What I mean by this is that some email marketers will provide all the necessary information about the product for the subscriber to make a buying decision without ever needing to click on the link to get more information from the sales page. So if you sell the product in the email why would someone click on the link to get more information? You have just provided them enough information to make decision without letting the sales page do it’s job. It’s job is to tap into the emotions of the visitor and get them excited about buying the product. Your email should be more about the benefits of clicking on the link rather than the benefits of the product. It’s likely the product you are trying to sell is better sold on the landing page that the product exists on, rather than the email you send out. Many product owners invest time and resources to make the landing pages convert as well as possible. Remember, “Sell the sizzle and not the steak“. You need to tap into the emotions of the subscriber on the benefit of clicking the link. It easy to oversell the product in the emails you send out rather than the benefit of the subscriber clicking on the link. Keep in mind, most people make buying decision based on emotions. If you can tap into an emotion of the subscriber and translate that into a benefit by clicking you’ll see a rise in your click rates. Let the sales page sell the product and you sell the click. One tip to really understand your clicks, whether you are buying or selling clicks, is to use a 3rd party click tracker. Bit.ly is nice as a free option but it really doesn’t give you the right data to truly understand what kind of clicks you are getting or what your clicks are actually doing. You will have to upgrade to some kind of premium level to get better data. We recommend a software called ClickPerfect. It does many things that a free solution like Bit.ly doesn’t do. For instance, it can tell you what country your clicks are coming from, offers click rotators for solo ads, and much more. To really dig in and understand what your clicks are motivated by, it takes a solution like ClickPerfect. Leave a comment below on some great call to actions that has helped you improve your click through rates.